ANROSE HOUSE Penrhyn Bay, self catering cottages with instant confirmed online booking. We have Self Catering throughout Conwy County , Wales . Accommodation near all the attractions, places to see and things to do.......You are able to make an instant secure confirmed online booking. 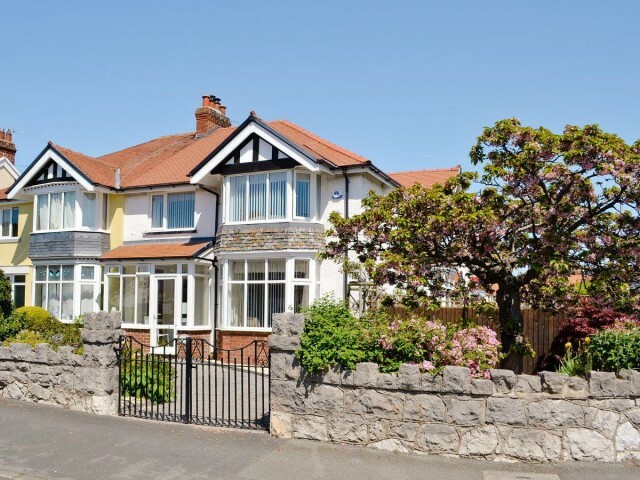 We also offer Conwy County AND Wales travel and tourist information..
Light, bright and airy semi-detached home, close to beach and golf course, only 2 miles from Llandudno.. This spacious semi-detached holiday property is close to the beach and golf course, 2 miles from Llandudno. Explore the Great Orme, try the ski slope and toboggan run or visit the 4,000 year old Copper Mine. Take in a superb show at Venue Cymru theatre or explore historic Conwy, picturesque Betws-y-Coed and the Welsh Mountain Zoo in Colwyn Bay. Shop 200 yards, pubs and restaurants 1 mile.. Ground floor: Living room with French doors. Second living room. Kitchen with dining area and tiled floor. Utility room. Separate toilet. First floor: 3 bedrooms: 2 double, one with en-suite shower room and toilet, 1 single. Bathroom with bath, shower cubicle and toilet. Second floor: 1 single bedroom with additional pull-out single, Velux and sloping ceilings.. Gas central heating, gas, electricity, bed linen and towels included. Travel cot and high chair on request. Seven Freeview TVs. DVDs and small library. Gas hob. Electric oven. Combi microwave/oven/grill. Washing machine. Tumble dryer. Dishwasher. Freezer. Fridge/freezer. Wi-fi. Partially enclosed garden with patio, sitting-out area and furniture. Parking (2 cars). Cycle store. No smoking. This spacious semi-detached holiday property is close to the beach and golf course, 2 miles from Llandudno. Explore the Great Orme, try the ski slope and toboggan run or visit the 4,000 year old Copper Mine. Take in a superb show at Venue Cymru theatre or explore historic Conwy, picturesque Betws-y-Coed and the Welsh Mountain Zoo in Colwyn Bay. Shop 200 yards, pubs and restaurants 1 mile.